For a passionate environmental advocate, what better way is there to experience the natural world than by taking long bicycle ride through it? 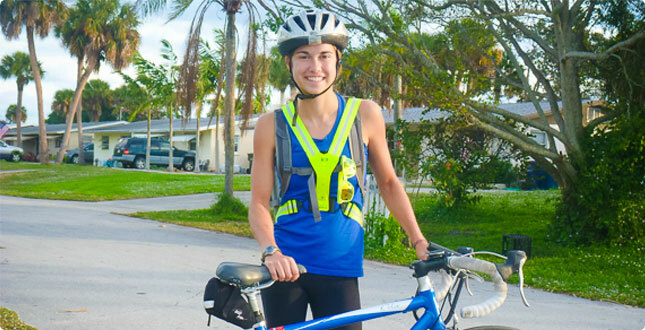 While cycling from Charleston, S.C. to Key Largo, Fla., may sound like a lengthy journey, that is exactly what Sarah Byce, ’12, did. 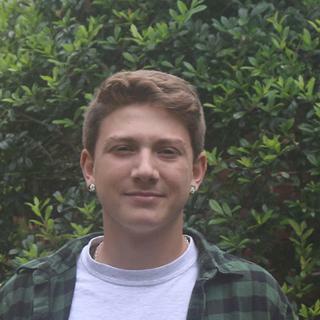 Byce studied biochemistry and molecular biology major at Richmond, and has always been interested in the sciences, the environment, and travelling to explore the two. Taking full advantage of Richmond’s study abroad programs, she studied Spanish in Cordoba, Argentina, and public health in Cusco, Peru, during summer terms. 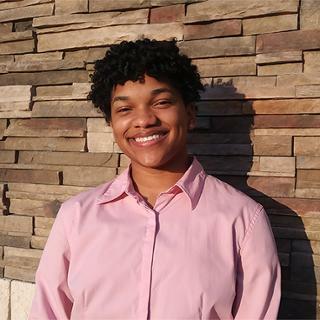 She also spent the fall of her junior year in the Turks and Caicos Islands where she focused on marine resource development with the School for Field Studies, a study abroad organization and Richmond affiliate program. Spring semester of her junior year found her in New Zealand, where she finished most of the courses for her biochemistry degree. “Living abroad has changed my perspective on life in general, from what things I truly need, to what I eat and how I relate to people,” says Byce. The work Byce did off of the South Caicos Islands became the foundation for her senior thesis and inspired her current career path. After graduating, she worked with MarineLab as a marine science field instructor in Key Largo, Fla. There, she taught lessons on coral reef ecology and led snorkeling trips though the reef, sea grass, and mangrove habitats for middle and high school students. She is currently pursuing a master’s degree in Environmental Studies at the College of Charleston. But how did all of this lead to her intense cycling excursion? Byce has “always pursued an active lifestyle,” but she started cycling after moving to Charleston in the fall. Then Typhooon Haiyan hit the Philippines in November. Three graduate students from the College of Charleston were working in the Philippines as Peace Corps volunteers and, after hearing their accounts of the typhoon and the immense need in the aftermath, Byce knew she wanted to take action. "The trip itself was a great adventure and I raised $1,700 for typhoon recovery and met several individuals along the way with family or friends in the Philippines. I stayed with pirates, had dinner at a fire station and helped to tag sea turtles," says Byce. "Look for ways in your own life to utilize your passions to help others. There are countless non-profits in need of support, choose one that supports a cause you are interested in and get involved." With her first year of graduate school nearly behind her, Byce recently found out she will have her own chance to experience life in the Philippines for the second half of her master’s program as a Peace Corps volunteer. Serving as a coastal resource management worker, she will partner with fishermen to ensure sustainable practices throughout the coastal and marine environment. She will assess reef quality, plan Marine Protected Areas, and map reef locations. She may also lead a marine biology summer camp and teach English lessons.